P assionate about music, the di.vi.sion piano trio is an exciting group that seeks to move audiences. Presenting captivating and fresh programming, curating a chamber series in the Bronx, collaborating with composers that inspire them and working on innovative recording projects, the di.vi.sion piano trio is an active and driven chamber ensemble. The trio is based in New York City and is the core group of the larger ensemble di.vi.sion. di.vi.sion was formed in 1997 by violinist Kurt Briggs as a 35-musician group. The name is inspired by the group’s flexibility to divide forces as needed. 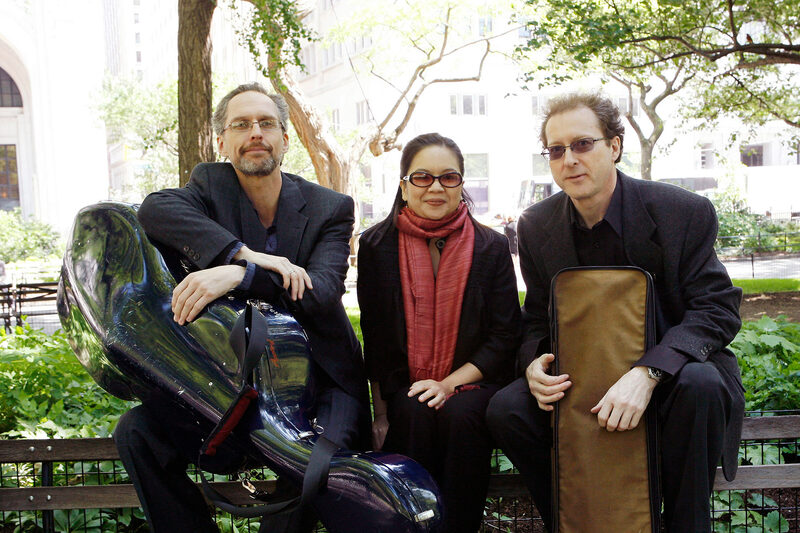 The di.vi.sion piano trio was formed in 2001 with members Kurt Briggs, Renée Cometa Briggs and Matt Goeke. Energized by music that is written today, the di.vi.sion piano trio regularly collaborates with living composers. The trio ardently programs and performs compositions of established and emerging composers. The trio and members of the trio are also the recipient and dedicatees of newly-written works. The di.vi.sion piano trio has worked with composers Douglas Anderson, Steven Burke, Merrill Clark, Constance Cooper, Ezra Donner, Anthony Gatto, Jim Lahti and Ben Yarmolinsky. di.vi.sion has captured many of these new works on premiere recordings, teaming with composers on both piano trio and larger and smaller ensemble projects. These collaborations can be heard on Albany Records, BenYar Productions and Ravello Records. 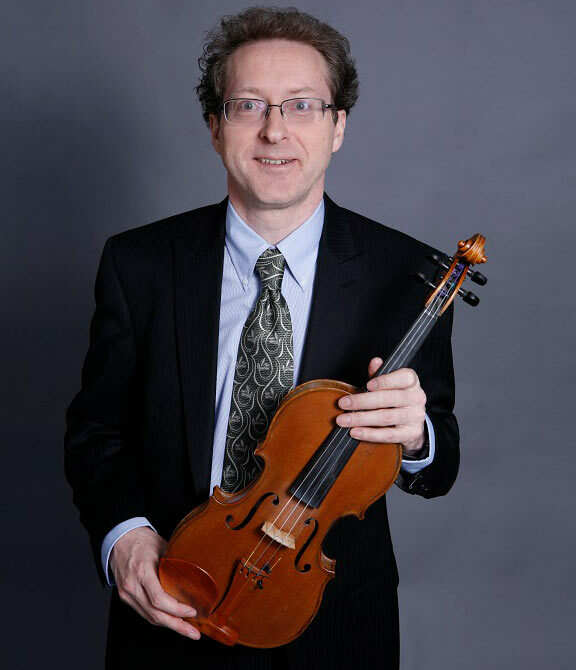 Violinist Kurt Briggs has appeared with many chamber ensembles and orchestras, including Bethlehem Bach Choir, Brooklyn Philharmonic, Connecticut Grand Opera, Harrisburg Symphony, Hudson Valley Philharmonic, New Jersey Symphony, New York Gilbert and Sullivan Players, the New York City Opera National Company, and the Vermont Symphony. Some of his chamber music projects have ranged from performances of Webern, and Hindemith with di.vi.sion to a series of concerts on original instruments with Capitol Artists in Vermont and New York. His Broadway credentials include Les Miserables, Titanic, Miss Saigon, My Fair Lady, Meet Me in St. Louis, Anything Goes, The Music of Andrew Lloyd Webber with Michael Crawford, and the full run of Sunset Boulevard, in which he appeared on stage with Glenn Close, Betty Buckley and Elaine Paige. His performances in stage roles in Kuni-Leml and Sunset Boulevard are archived in the Richard Rogers Video Archive at Lincoln Center. As a performer, Mr. Briggs has recorded for Amphonic, Hallmark, Iota, Koch, Newport Classics, and Sony Records. He has been heard in New York on WBAI (Paul Lazarus Show), WQXR (performing Bartok’s Rhapsody and Franck’s Sonata on Bob Sherman’s: The Listening Room), and in London on the BBC. His recording of Constance Cooper’s: Concerto for Soprano Violin is available on Quixotic Records as Coming from Us (Quixotic 5007). He has also played and recorded for such well known popular and jazz artists as Harry Connick Jr., Celine Dion, Dominic Duval, Grand Funk Railroad, Barry Harris, Incognito, Alicia Keys, Karen Mack, David Murray, Regis Philbin, Smokey Robinson, and Frank Sinatra Jr. Mr. Briggs is currently on faculty at CUNY, Borough of Manhattan Community College. Pianist Renée Cometa Briggs leads an active career as a performer and educator in the metropolitan New York area. Her solo repertoire ranges from Mozart on fortepiano to Schoenberg and beyond. Her interpretation of works by Debussy garnered multiple prizes from the French Piano Institute, which presented Ms. Briggs in a solo recital of French repertoire at La Schola Cantorum in Paris. She has also performed at the Foundation Pierre Gianadda, Martigny, Switzerland. As a chamber musician, she regularly performs with di.vi.sion and the di.vi.sion piano trio. 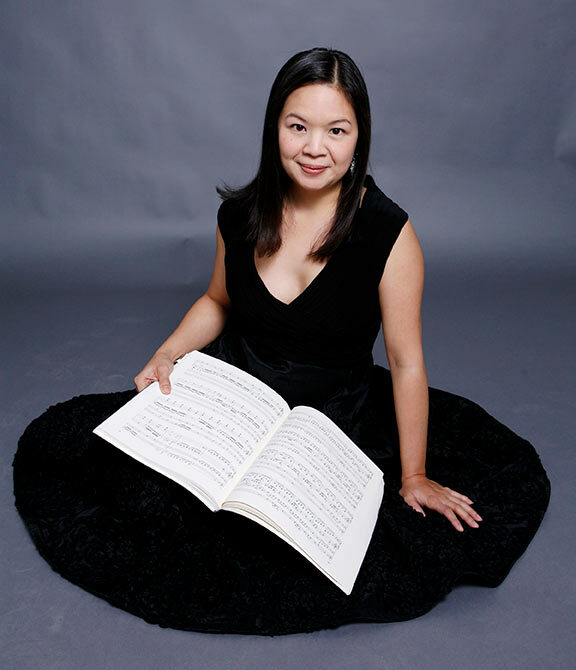 An advocate of new music, Ms. Briggs has performed many works by New York composers and has participated in the American Composers Alliance Festival, River to River Festival and the Staten Island Composers Project. She has been the recipient of two PSC-CUNY Research Award Grants and is a member of the International Alliance for Women in Music (IAWM). Ms. Briggs holds a DMA from SUNY Stony Brook; an MM from Mannes College of Music, NY; and a BM from North Carolina School of the Arts. She also studied in Switzerland under the auspices of the Semans Art Fund. Ms. Briggs serves as Assistant Professor on the music faculty at CUNY, Bronx Community College. Cellist Matt Goeke performs as chamber musician and orchestral player in a broad range of musical styles. He performs both traditional and new music with the Collegiate Chorale, the EOS Orchestra, Musica Sacra, North/South Consonance, the Stamford Symphony, and the Crosstown and SEM ensembles. He has also worked with Butch Morris, Zeena Parkins and Elliot Sharp. Classical recordings include releases on 4Tay Inc., Elektra, Koch International Classics, North/South Recordings, Opus One Records, Polygram and Tzadik labels. Additionally, he has recorded with the bands GIANTfingers and Voltaire, and with the experimental instrumental group Another Silent Day. He can be heard on Angelique Kidjo’s 2007 Grammy Award–winning album, Djin Djin, and with David Bowie on Time Will Crawl. 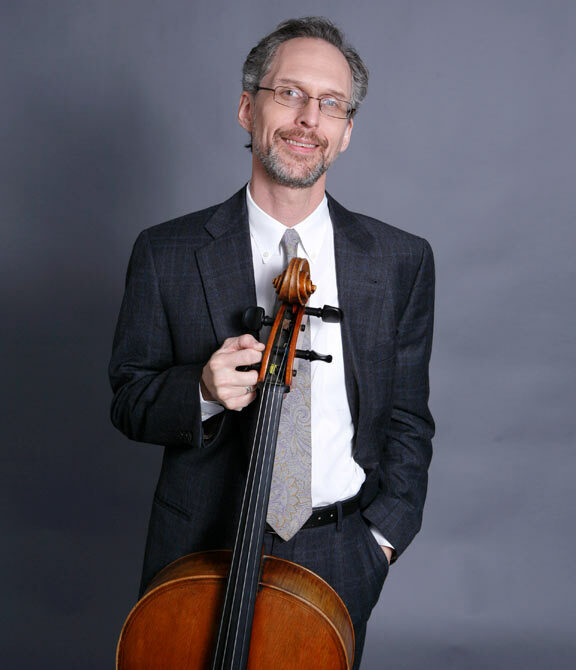 Mr. Goeke is also a member of the chamber music group Eight Strings & a Whistle and is currently on faculty at CUNY, Borough of Manhattan Community College.